The earnest, Shaker-inspired styling of this slat bed makes it the perfect choice for those who seek an heirloom-quality bed that will be cherished for generations. 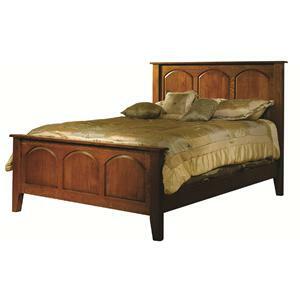 Crafted from 100% solid wood, this bed's simple, sturdy design allows the natural warmth and grain character to take center stage. 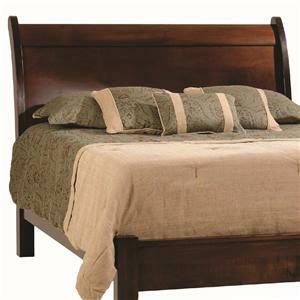 Shown here in Maple with a Rich Tobacco stain, this bed is available in your choice of Oak, Maple, and Cherry with a variety of attractive finishes. Available in twin, full, queen, and king sizes. 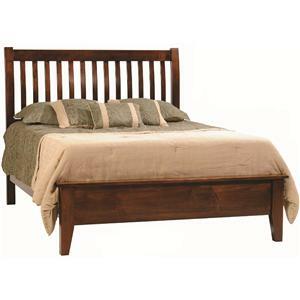 The Huntington Shaker Twin Shaker-Style Solid Wood Bed with Slatted Headboard by Rotmans Amish at Rotmans in the Worcester, Boston, MA, Providence, RI, and New England area. Product availability may vary. Contact us for the most current availability on this product. Finish & Paint Options Available in 3 wood species with your choice of Oak, Maple, or Cherry. 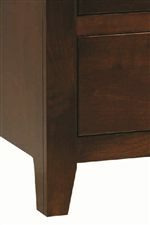 A variety of stain options is available with each wood species. 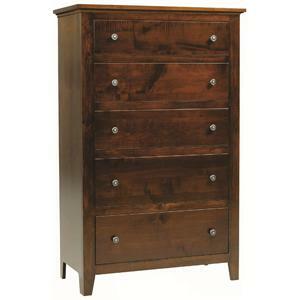 Handles & Hardware Brushed pewter knobs adorn all case pieces. Case Detail Clean, functional shaping and tapered legs. 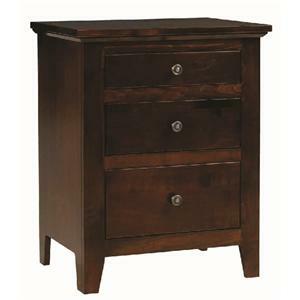 Drawer Suspension Full-extension drawer slides provide spacious storage and effortless opening. 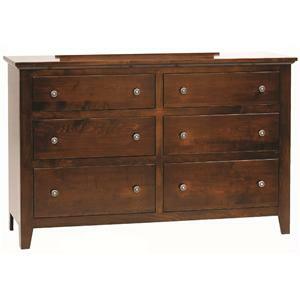 The Huntington Shaker collection presents a warm and inviting bedroom suite characterized by natural beauty and sturdy, functional design. 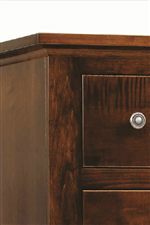 Inspired by the principles of traditional Shaker furniture-making, each piece in this collection features clean, smooth lines and subtle shaping, showcasing the rich luster and bold grain character of the solid wood construction. 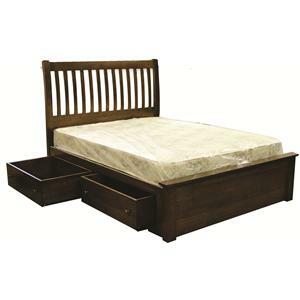 Start with the slatted bed, sleigh bed, or Carlisle bed, and craft a complete bedroom set with the splendid storage and accent pieces available with this collection. Made in America from only the highest quality materials, the Huntington Shaker bedroom collection is made to last for generations. 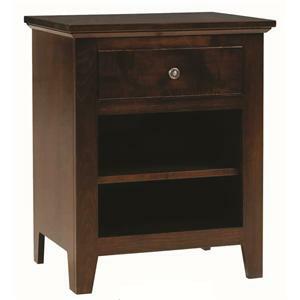 The Huntington Shaker collection is a great option if you are looking for Casual furniture in the Worcester, Boston, MA, Providence, RI, and New England area. 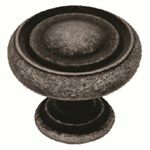 Browse other items in the Huntington Shaker collection from Rotmans in the Worcester, Boston, MA, Providence, RI, and New England area.